The 2018 edition of the Destination Guide is out! 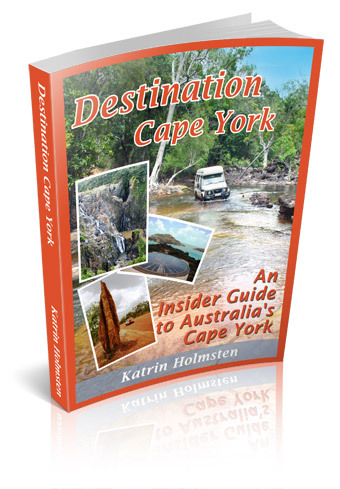 The 2018 edition of Destination Cape York just came out in the early hours of Saturday 13. January 2018 (you now get the new edition when you buy through this page on the website). If you get any problems with that please let me know and I will help you. So - what was done .. like every year before, the Guide has again been reviewed, improved and updated on every detail. * This year was a massive overhaul because I made a more extensive research trip than the year before, so lots of places got added more detail, chapters rewritten, or even new chapters made, particularly (but not limited to) the places in the southern and central parts of the peninsula, including Kowanyama and Pormpuraaw, Running Creek and Kendall River areas, and the tracks through from the PDR to BDR (Burke Developmental Road) via Kimba - Gamboola and Dixie - Koolatah roads, and the back track between Kowanyama and Pormpuraaw, only to mention a few. * The "Getting Here" chapter got new, straighter routes from Melbourne, Sydney, and the western side via the Gulf Savannah was also reviewed - all with FREE camping sites along the road. * And much, much more - all the invaluable information that was in the Guide ever before, has been updated, improved, and added to! P. S. If you cannot see the photo banner in the top of this page, instead of photos you only see photo texts, and instead of links you see url addresses throughout the text, you are using email software that only reads text. Consider getting an email account with Yahoo or others that can read HTML (and remember to change your email address, which can be done in the end of every newsletter.